In 1946, Everett Hull files his patent application for a “sound amplifying means for stringed musical instruments of the violin family.” The invention, called the “Ampeg” for “amplfiied peg,” places a transducer inside an upright fiddle on an extended support peg. The patent is granted in 1947. Everett Hull and Stanley Michael open the Michael-Hull Labs to manufacture and market Hull’s “Ampeg” transducer along with the 18 watt 1 x 12″ Michael-Hull Bassamp. The closed-back amp, designed specifically for upright bass, kicks off the modern era of bass amplification. 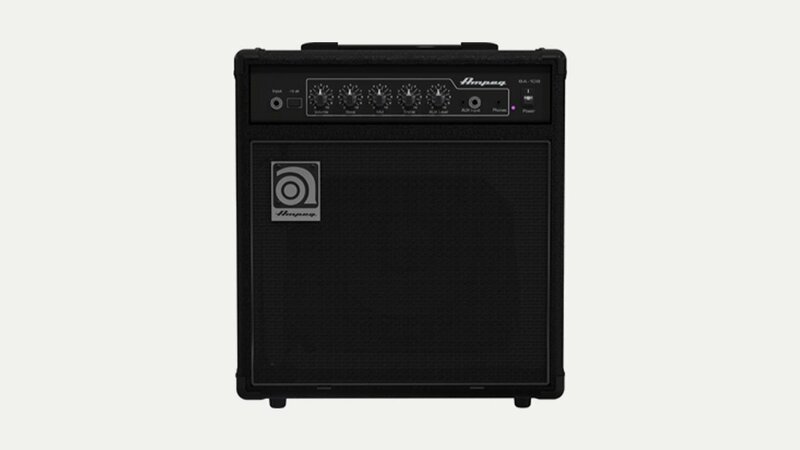 Ampeg went on to develop the monster amp rig that sets the tone, punch and arena-rattling standard for all future big gun bass amps: the 300 watt SVT or “Super Vacuum Tube” amp, with a pair of 8 x 10″ cabinets. The SVT is introduced at the 1969 industry NAMM show and the Rolling Stones take it on tour in ’69 and ’72 and thereafter, using it for both guitar and bass. Since then, the SVT has become the bass amp that all rock bassists dream of, whether they’re famous or completely unknown. Ampeg has modified the SVT concept for a wider variety of sounds, but fortunately, they still make the SVT-VR, which are virtually identical to the ones the Stones used to put their Jack Daniels bottles on top of. Their range includes the SVT Pro, Bassamp, Portaflex, Classic and Heritage series.